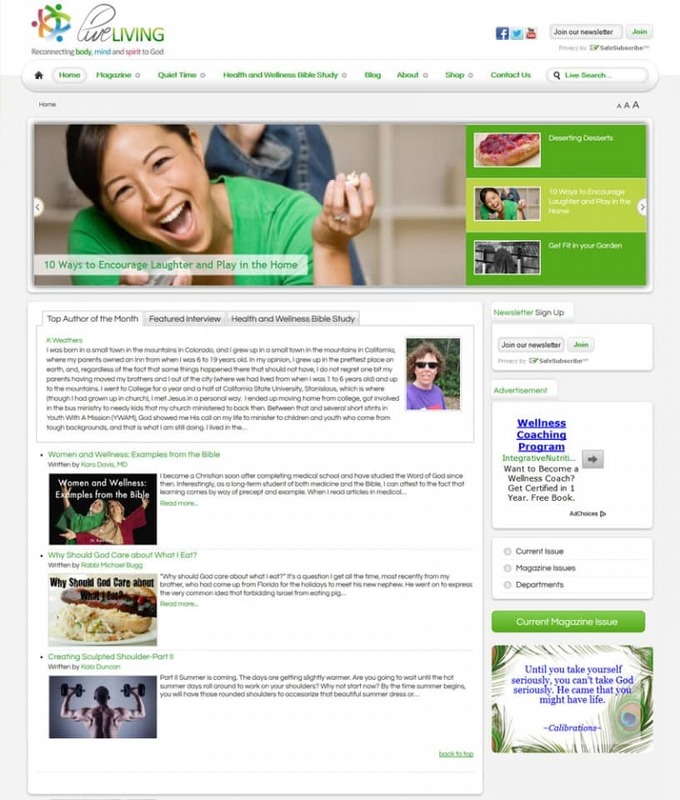 LiveLiving.org is a web-based Christian Health and Wellness resource containing an eMagazine as one of its major features. The eMagazine is composed of a group of international Christian writers, dietitian, culinary chef, physical therapist, and exercise professionals whose desire is to see others discover and fulfill their purpose by reconnecting with God through body, mind and spirit. LiveLiving’s passion is to educate, to empower, and to invoke change in the lives of believers by helping them effectively manage and reduce the overall stress, related illnesses, poor dietary habits, and lack of exercise associated with busy and challenging lifestyles.